Enigma Hostel & Apartments is a newly opened property in the heart of Krakow, on the corner of Rakowicka and Topolowa Streets. 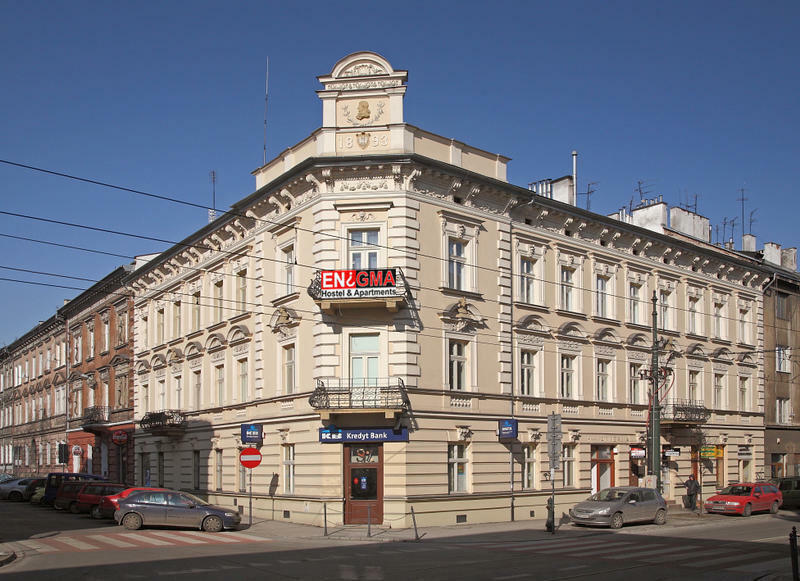 Our building is located in the historic and stylish house, situated in the heart of the city - within close distance to the Krakow Main Market Square (appx 5 minutes walk). We offer 10 comfortable and clean rooms: doubles, triples and 4-persons rooms and also apartments with own kitchens and SAT TV. All guests have opportunity to use our beautiful common room and kitchenette with free coffee ! Fallow the instructions from above.